Reverse mortgages have been giving home owners over the age of 62 the chance of borrowing money against the equity in their homes. Seniors are usually on low fixed income, so reverse mortgages are very helpful for those who wish to pay off some debt, have unpaid medical bills, or simply need the money for living expenses. Not having the chance of finding a better job or investing money into something that will generate a profit can be really tough financially on seniors, especially when compared to younger people. Reverse mortgages allow those who qualify to borrow money in the form of a lump sum, which allows them to take out the entire loan proceeds at once, receive the money as monthly payments, or receive as a line of credit. The money that you take out from a reverse mortgage can be used for virtually everything, from paying off your mortgage to paying for utilities and food (Read: You Can Borrow How Much With a Reverse Mortgage?). This is a great way for seniors to acquire some much needed money without having to worry about paying it back. The debt must be paid off if the home owner moves, sells the home, or dies. If the borrower dies, the remaining heirs will have to pay off the reverse mortgage if they want to keep the home. If the heirs decide to sell the home, they come into possession of any equity remaining after selling the home. Unfortunately, it looks like taking out a reverse mortgage is going to become more difficult. People who were hoping to take out a reverse mortgage in order to resolve their financial problems will, most likely, have to look at other loan options as well. New rules will now impose stricter limits on how much someone can borrow with a reverse mortgage. The pricing of a reverse mortgage will change and the requirements will become much tighter. To read more about the tightening restrictions click here. Why are There Changes Being Made? After the economic crisis, more and more home owners took out reverse mortgages because they were having a difficult time making ends meet. Most of these borrowers took out the whole loan amount at once, putting a strain on the program’s funds. Lenders also recommended taking out the money as a lump sum because they were being paid more than when borrowers took out the money as monthly payments or lines of credit. Lenders were unable to recuperate all the money that they gave out because home prices went down, so the reverse mortgages were not paid off in full. This has also hurt the reverse mortgage program, making these changes inevitable. Most reverse mortgages are backed by the Federal Housing Administration (FHA), who is implementing these changes in order to strengthen the program. The FHA is hoping that borrowers will start treating the equity in their home more carefully by tapping it slowly than before. Go here to read more. What Will the Changes Be and How They Will Affect You? Before these changes, almost anyone who met the basic qualifications could take out a reverse mortgage. Borrowers pretty much only had to be 62 or older and use the home as a primary residence. But things are about to change, so here are 3 reasons why getting a reverse mortgage will be harder. The amount that the borrowers can withdraw in the first year will be reduced by 40 percent. For example, if a borrower was eligible to withdraw $250,000 before the new rules, he or she will only be able to withdraw $150,000 once the new rule regarding the first year withdrawal is implemented. Borrowers whose existing mortgage and other debts exceed the 60 percent limit will be able to withdraw a little more. Home owners will have to pay off those debts, which are considered mandatory obligations, so they can withdraw enough to pay them, plus an extra 10 percent of the maximum amount that is allowed. Credit cards do not count as mandatory obligations, so borrowers cannot take out extra money to pay them off. Also, the two types of reverse mortgages that are available now, the standard and the saver, will be pretty much eliminated and consolidated into one reverse mortgage. The amount that you can borrow will still be influenced by the youngest borrower’s age, the value of your home, and the interest rate. However, once the new reverse mortgage rules are implemented, most borrowers will have access to 15 percent less equity. The cost of taking out a reverse mortgage will be calculated based on the amount that is borrowed. Borrowers who take out more than 60 percent of the allowed amount in the first year will have to pay higher upfront costs. People who stay within the limit will pay .5 percent of the appraised property value as an upfront mortgage insurance premium, while those who go over the 60 percent limit in the first year will have to pay a 2.5 percent mortgage insurance premium. The annual mortgage insurance premium will remain 1.25 percent of the loan balance for both types of borrowers (Read: Want a Big Cash Payout? Don’t Look to Reverse Mortgages!). The new reverse mortgage rules require lenders to make sure that their borrowers are able to afford paying property taxes and insurance during the life of the loan. Lenders will have to analyze the borrower’s income and credit history before giving out a reverse mortgage. Lenders will also need to factor in the borrower’s living expenses, such as utilities and property related costs, and determine if the borrower has enough money left to pay for insurance and taxes. If your lender comes to the conclusion that you are unable to pay your taxes and insurance after all the other expenses, you will be asked to set money aside or it will be deducted from your reverse mortgage payments (Read: Reverse Mortgages – Not the Smart Investment You Thought They Were). All these new rules and requirements have the potential of disqualifying many borrowers that would have easily qualified for a reverse mortgage in the past, but should not be a big problem if you take the time to work on your budget a little bit. Taking out a reverse mortgage is becoming harder, so it would be wise to look into other types of loans, as well. Reverse mortgages are designed for seniors, but that doesn’t mean you won’t be able to take out another loan, if it suits you better. Fact or Fiction? Reverse Mortgage Myths Exposed! 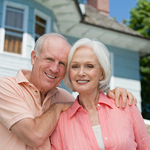 Reverse mortgages are designed to help home owners over the age of 62. They can take out a reverse mortgage as a lump of cash, monthly payments, or as a line of credit. There are many misconceptions surrounding reverse mortgages, which make a lot of people avoid them. The truth is that reverse mortgages can be of great help when used by someone who knows how they work (Read: Buying a Home With Your Reverse Mortgage – It’s a Reality!). This article will expose the most common reverse mortgage myths. Fact: Lenders have a few requirements when giving out a reverse mortgage, but they will not own your home. The title and ownership of the home will still be yours during the life of the loan, but the loan will have to be repaid if the owner relocates or dies. Fact: The truth is that the money you receive from your reverse mortgage can be spent however you like. You can use it for home repairs, medical bills, living expenses, or save it (Read: You Can Borrow How Much With a Reverse Mortgage?). Fact: If you have enough equity in your home, you can use it to pay off your existing mortgage so that your reverse mortgage will be in first lien position. Fact: The truth is that many seniors have money issues, but reverse mortgages have nothing to do with that. Many seniors prefer to take out a reverse mortgage in order to pay off their mortgages. Others use the money for medical bills, savings, travel, or even investing. Fact: Reverse mortgages only have to be repaid when the borrower sells the home or dies, so living longer than expected will not have any negative effect, as long as the borrower keeps paying the property taxes and insurance, and continues using the home as a primary residence (Read: Delinquent on Your Reverse Mortgage? – Here’s the Help You Need!). Fact: In reality, most borrowers work with reverse mortgage advisors that are approved by the United States Department of Housing and Urban Development (HUD). Being 3rd party advisors, they have no interest but to help borrowers make the best choices. Fact: The borrower’s children will only have to pay off the debt if they wish to keep the property. The home can also be sold in order to pay off the debt, and any equity that remains will belong to the current home owner (Read: Top 10 Steps to a Reverse Mortgage) . Fact: Taking the time to research a lender before applying for a reverse mortgage is very important. This applies to all types of mortgages, not only reverse mortgages. Lenders will usually try to make as much money as they legally can, so it is up to you to get the proper counseling and make sure that you know exactly what you want from a reverse mortgage. Reverse mortgages may seem scary, especially if you are old. 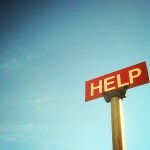 Doing a bit of research and asking for help goes a long way when considering taking out a reverse mortgage. Before starting to believe in reverse mortgage myths, you should take the time to educate yourself on the subject. That is the only way to avoid being scammed, losing money, and many other problems that can arise when taking out a mortgage without knowing what you are doing (Read: Top 10 Things to Know if You’re Interested in a Reverse Mortgage). Being retired doesn’t mean that you don’t need a good source of income anymore. Utilities, food, gas, and pretty much everything continues to become more expensive each year. The large majority of seniors have limited incomes, so they will be the most affected by these increasing expenses. One choice that retirees who need cash have is to take out a reverse mortgage. Reverse mortgages are pretty popular right now, and a good alternative to other loans, but they might not be such a smart investment. Yes, reverse mortgages can provide you with that extra income, but, as an investment, a reverse mortgage is a poor choice. A reverse mortgage is a type of loan which is only available to seniors over the age of 62, and which uses the equity in the borrower’s home as collateral. This loan is designed to help home owners who are in or near retirement and have limited incomes. The borrower’s existing mortgage will have to be paid off in order for him or her to qualify for a reverse mortgage, and there are no credit score requirements. The money borrowed through a reverse mortgage can be used for many things, such as paying off other debt, medical bills, or paying for utilities and food. There are pretty much no restrictions to how a borrower can use the reverse mortgage proceeds. The borrower can choose to receive the money from a reverse mortgage in three ways: as a lump sum of money, meaning that the borrower receives all the money at once, as a monthly payment for as long as the borrower lives or until the home is sold, or as a line of credit which is similar to a credit card. 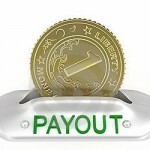 If the borrower chooses to, the money can be received as a combination of these three methods. A reverse mortgage can be expensive because there are no standard charges, so the fees will depend on the lender and type of loan. The borrower will have to pay a mortgage insurance premium, monthly lender fees, and several closing costs. The amount that you can borrow depends on which method you are using to take out the money, how much equity is in your home, and the borrower’s age. 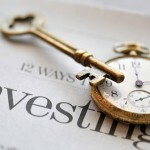 A mortgage is considered a good investment only when you live in a home for a long time. When taking out a reverse mortgage, you can turn it into a good investment by living in the home for over 5 years, but the odds are stacked against you at that age. If you become ill and have to move into a nursing home, the monthly reverse mortgage payments will stop. Also, taking the whole amount out at once can turn ugly if you are unable to manage your finances properly. Once that money is gone, you won’t be able to take out another reverse mortgage. Reverse mortgages also have high closing costs and other fees to pay. Because the lender doesn’t require you to have a certain income or credit score, he must take certain precautions to ensure that he doesn’t lose money, so your interest rate and fees will be higher than on a regular mortgage. Also, after you die, your heirs will probably have to sell the home in order to pay off the debt, so they will be left with very little or nothing. If you decide to move out at a certain point after taking out a reverse mortgage, you will have to pay off the debt, and this might prove difficult at a time when money is tight. A reverse mortgage can be a life saver when you truly need it, but it is not a great investment. An alternative to taking out a reverse mortgage and leaving your heirs with debt would be to reorganize your budget, or even ask your children for help. The high cost and the problems that may arise if you wish to move out of your home or leave it to your heirs can make reverse mortgages something that you are better off avoiding. The effects of the recent economic crisis can still be felt, especially by home owners, who have found out that the value of their investment has decreased because the housing market hasn’t fully recovered yet. Because most investments have lost some of their value, a large number of home owners felt the need to tap into the equity in their homes in order to have enough money for their retirement plans. Your home is, most likely your most expensive asset, so tapping into its equity will resolve the financial issues that you might have when retiring, but it might not be the best idea to do so. You can access the equity that you have in your home through a home equity line of credit, a home equity loan, or a reverse mortgage, but you should know that there are some risks associated with this practice. What Are the Risks of Relying on Home Equity When You Retire? 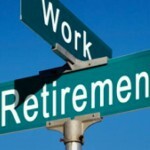 No matter what your retirement plans are, you will still need a home after you are retired. This means that you might have to find other ways of funding your retirement, ways that are less risky. Tapping into the equity in your home through a home equity loan, line of credit or reverse mortgage can be very expensive, and you can end up spending more than you initially were prepared to, or even lose your home. The interest rates, fees, and closing costs are usually much higher for these types of loans than they are on conventional loans. If you decide to buy a new home and move out, you may find that you can’t afford a new home because the equity in your current home is very low. An alternative to taking out a second loan which will affect your equity is to downsize your home, which will free up some of the equity that you have built up in your home. By doing this, you will have access to funds that will help you with your retirement plans, while still having a roof over your head. Starting to plan your retirement while you are still young will almost guarantee that your retirement will be problem-free. If you wait until you only have a few years left until retirement, there are many problems that could come up. The economic climate can shift radically in only a couple of years, or even quicker, affecting the housing market and the equity in your home. This makes home equity loans and reverse mortgages a very inefficient way of funding your retirement. Predicting what the economy will look like once you reach your retirement years is close to impossible, so knowing if your home will be worth more or less is anyone’s guess. Not counting on the equity in your home and planning ahead can save you a lot of trouble and headaches once you retire. Investing in real estate properties, savings plans, and/or stocks is a much better alternative to taking out home equity loans and reverse mortgages, even if you didn’t start at a young age. People who are close to their retirement age can still successfully invest their money wisely, and have enough once they retire. Relying on home equity when you retire is the least efficient way of coming up with retirement funds. You will most likely end up spending more than you have to, and even put your home at risk by defaulting on a reverse mortgage. Planning ahead and starting to invest at a younger age is something that you should look into, because it is much safer and will ensure that you won’t have to worry about your retirement funds. Seniors over the age of 62 who wish to borrow money against the equity in their home have two options that they should take into consideration: a reverse mortgage and a home equity line of credit (HELOC). Both of these types of loans have their advantages and, depending on each borrower’s financial situation and intentions, one can prove to be more beneficial than the other. For example, a reverse mortgage may be more expensive due to the high closing costs, but it doesn’t have to be repaid until the borrower dies, or the home is sold. On the other hand, a home equity line of credit is cheaper to get, but will have to be paid back monthly. You can use the money received from a reverse mortgage to pay for house repairs or improvements, medical bills, a new car, or just to supplement your income. Reverse mortgages can be taken out as a lump payment, where the whole amount is received as one payment, monthly payments until the owner dies or sells the home, or as a line of credit which can be used in the same way as a credit card. The borrower won’t need to pay back the reverse mortgage until the home is sold or the owner dies. The home will have to be kept in good condition and the taxes and homeowners insurance will have to be paid on time. Unlike other loans, there are no credit or income requirements that have to be met in order to be granted a reverse mortgage loan. 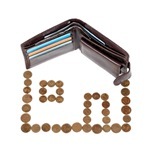 The largest advantage that a home equity line of credit has is the lower closing costs. Taking out a loan can be very expensive, especially for older borrowers, so the lower closing costs are very beneficial. Another advantage is that home equity lines of credit don’t have an age requirement, unlike reverse mortgages, which require the borrower to be 62 or older. Lower interest rates are also a reason why a borrower would choose a HELOC over a reverse mortgage. A home equity line of credit will have to be paid back through monthly payments, like any conventional loan, so the interest will be lower than on a reverse mortgage, which will be paid back only after the home is sold or the owner dies. Both types of loans have advantages, but you should only choose one or the other once you have a clear understanding of everything that is involved in taking out any of these loans. Before taking out a reverse mortgage or a home equity line of credit, you must also understand that, while both loans have their advantages, there are also a few risks involved. Before deciding which loan to go with, make sure that you know what your budget, financial situation, and future plans are. One of the most attractive options for seniors who needed a large lump of cash was the standard fixed rate Home Equity Conversion Mortgage Loan (HECM) offered by the Federal Housing Administration (FHA). This type of reverse mortgage was designed to help senior home owners who are in need of a large sum of money especially for things like medical bills. This type of loan, sometimes in the hundreds of thousands of dollars, is responsible for most defaults associated with reverse mortgages, so the Federal Housing Administration will no longer allow senior borrowers to get a fixed rate on HECM reverse mortgages. The only reverse mortgage loan that will come with a fixed-rate option is the HECM Saver loan, which has a much lower borrowing limit than the standard HECM loan. What is the Home Equity Conversion Mortgage? The Home Equity Conversion Mortgage is a type of reverse mortgage insured by the Federal Housing Administration. The HECM reverse mortgage allows senior home owners over the age of 62 to convert the equity in their property to cash. Factors that affect the size of the loan are the borrower’s age and the appraised value of the home. Unlike conventional loans, which have strict lending requirements, HECM loans are given out without a credit check, and the money doesn’t have to be paid back until the home is sold or the owner dies. Why Was a Change in Reverse Mortgages Necessary? The large increase of reverse mortgage defaults has determined the Federal Housing Administration to stop giving out fixed-rate standard HECM loans. Back in 2012, 10 percent of the mortgages insured by the FHA were in default, an 8 percent increase over a decade ago. The FHA is looking at an estimated loss of $2.8 billion, which may force them to ask for a bailout from the federal government. Reverse mortgages are great for seniors who need quick access to money for medical bills, but sometimes these loans are as high as a few hundred thousand dollars. Borrowers end up spending the whole amount too soon and defaulting, or not having enough money to pay for their property taxes and homeowners insurance. Reverse mortgages are not for everyone. Seniors who don’t have access to cash, but live in an expensive home can better take advantage of this type of loan. However, reverse mortgages come with high closing fees and high interest rates, so they shouldn’t be your first choice even if you easily qualify. Many seniors took out a reverse mortgage loan because it seemed attractive, but ended up in default because of poor money management and not paying close attention to all that this type of mortgage loan entails. 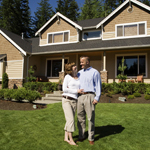 Reverse mortgages have always been a great choice for a certain type of borrower. Now, with the change to interest rates, they will most likely decrease in popularity. Before going this route, you should look into a conventional loan first, make a careful comparison between your options, making sure that you don’t end up defaulting and having to give up your home. A large number of older home owners who have bought their home with a reverse mortgage are now facing foreclosure. Borrowers, age 62 or older, have the opportunity of converting part of the equity in their homes into cash, without having to worry about paying it back. When the borrower dies, his or her heirs have the option to sell the home and cash out the remaining equity, pay back the loan and keep the property, or refinance. Not requiring a credit score makes applying for a reverse mortgage very easy for all senior home owners, but it also makes it very easy for them to become delinquent on their reverse mortgage. What Is the Cause of Reverse Mortgage Delinquencies? When applying for a reverse mortgage, borrowers have a few options: receive the whole amount at once, start a line of credit similar to a credit card, or receive regular monthly payments. On a conventional loan, when the borrower takes out a home-equity line of credit, he or she will be required to make monthly payments. Reverse mortgages don’t require monthly payments, but they will be due when the owner dies or the home is sold. Delinquencies occur when the home owner is unable to pay property taxes and homeowner’s insurance anymore. Paying these property charges is especially difficult for home owners who choose to take all the money upfront on a reverse mortgage, leaving them with very little money for taxes and insurance in the following years. Another group of seniors, the younger borrowers, are at risk of becoming delinquent on their mortgages, according to Federal Housing Administration (FHA) officials, who have come to the conclusion that most delinquencies will occur in the first four years of the loan. Lenders are required to give you free financial counseling if you are behind on your property tax and insurance. You should act quickly, because the next step after falling behind on your payments is to go into default, then be evicted. Unfortunately, many seniors don’t realize that there are programs designed to help them avoid becoming delinquent on their reverse mortgage, or simply fail to act on time, and end up losing their homes. If you receive a notice from your lender, acting quickly is the most important thing you can do. If you can’t afford to pay your property taxes and insurance, talking to a financial counselor is very important, and could possibly help you get back on track, while keeping your home. If you have the money to pay your property taxes and insurance, then your first step should be to contact your lender and find out if you should send the money directly to the tax authority and insurance company, or if your lender has already paid what was owed on your behalf, in which case you should send them your payment. Losing a home is a very unpleasant situation, no matter what your age is. Unfortunately, because they don’t work anymore, seniors who take out a reverse mortgage are at a greater risk of running out of money, falling behind on their property tax and homeowners’ insurance payment, and eventually lose their home. However, with the help of several programs, senior home owners can get the counseling that they need in order to get back on track with payments, and avoid losing their homes. Reverse mortgages have been criticized for their high fees and expensive consumer features. In managing the losses borne by the FHA, the government has instituted a number of changes to clear close to $3 billion in outstanding mortgages. The Federal Housing Administration (FHA) has unveiled sharp curbs on the Home Equity Conversion Mortgage (HECM) to affect the changes. According to the Consumer Financial Protection Bureau, their defaults in repayments stand at approximately 9 percent. With these new rules, a consumer should look at the loan terms carefully before making a step. A consumer will only access a smaller portion of their home equity when taking a reverse mortgage. A lender is also expected to set aside a significant portion of the borrower’s home equity in order to pay for future home insurance premiums and property taxes. Under the new rules, there are considerable restrictions barring citizens with lower incomes from taking HECM. Both taxpayers and the FHA have been losing money under the HECM Standard loan, a fixed-rate mortgage loan. Under the new rules, it will be halted. This leaves the new HECM Saver as the only option for many borrowers. Even though the HECM Standard loan is comprised of higher insurance charges and other fees, it pays out to the borrower a higher percentage of the home equity than the HECM Saver, which charges no insurance cost. Since it pays out a smaller percentage of the home equity, it is more conservative, thus lowering the risk of losses, which typically leads to high insurance claims lodged by lenders in the private sector. Under the new rules, borrowers will only withdraw specified amounts based on their indebtedness. 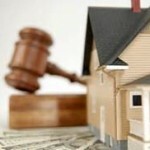 In other words, a borrower will not take more than is required to pay off all their liens and current mortgages. There are several factors that HUD will use to determine this figure, including the borrower’s payment history. This will definitely shock those who are used to borrowing fixed-term loans, as a new formula will be unveiled for determining the amount that a borrower will qualify for. Through the new rules, the federal government also wants to beef up financial assessment for borrowers- the ability to do impound on taxes and insurance on loans. This is obviously aimed at driving up the servicing costs, which may see the reappearance of reverse mortgage loans servicing fees. Under the current HECM Standard loan, borrowers have the privilege of not undergoing a tight underwriting qualification procedure. But under the proposed HECM Saver program, all borrowers will have to undergo a very tight qualification process.